3. 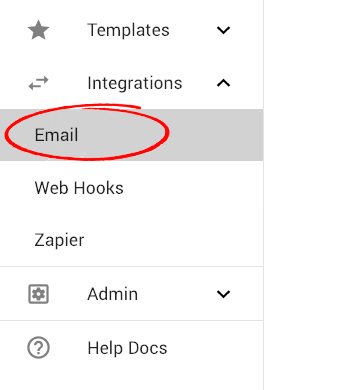 Click the red "+" icon to creation a new email notification. 4. 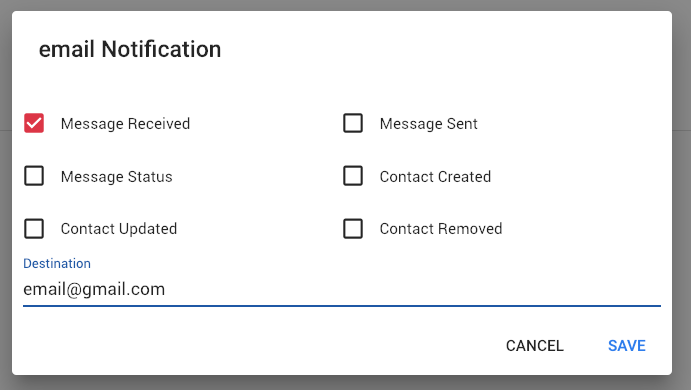 Select "Message Received" as an email notification trigger. Enter your preferred email address to receive the notifications when a text message response is received. If you have multiple recipients, add additional triggers. 5. You're done! Here is an example Email Notification trigger.